It's been a hot minute since I've done a leopard print manicure, so obviously I had to remedy that. I went full Lisa Frank with a rainbow gradient background using China Glaze City Flourish shades, and then painted the leopard print over the top in black. This style of leopard is a little different than the style I've done in the past. I think I prefer this smaller pattern, despite it being harder to do and taking longer! I started with a base of white, and then sponged on three China Glaze City Flourish shades in a nonlinear gradient. The technique is the same as a "normal" gradient, except you paint the colors in a circle on the sponge. Danielle has a great tutorial that shows you how to achieve the effect. Make sure you continually rotate the sponge between nails so the colors end up in different spots! 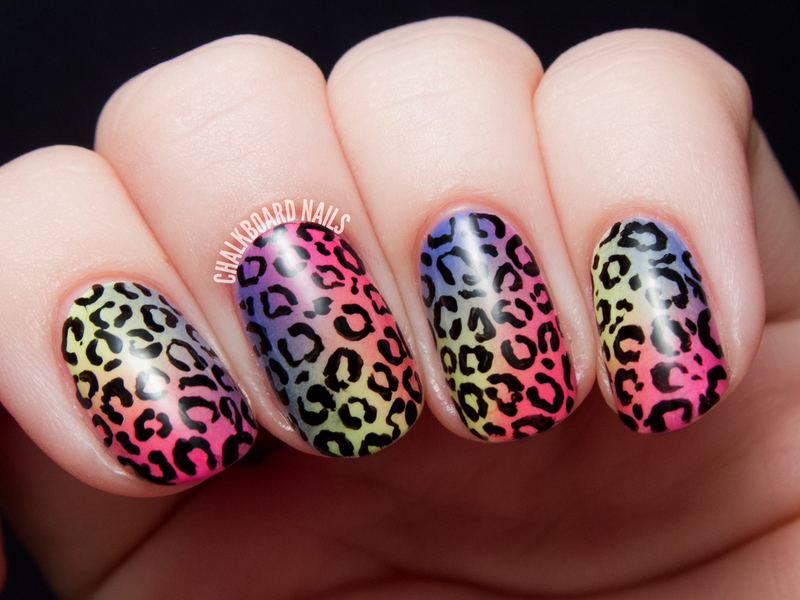 The leopard print was freehanded on with a nail art brush and black polish. The colors blended together beautifully. I love where the green and pink mixed together to create a pretty peach shade. The China Glaze City Flourish collection is available now at salons and professional beauty supply stores. I still haven't tried that leopard pattern yet. I love it every time I see it though, and of course, yours is no exception! This looks sooo amazing! I can't believe you only used three shades, it looks like at least five! 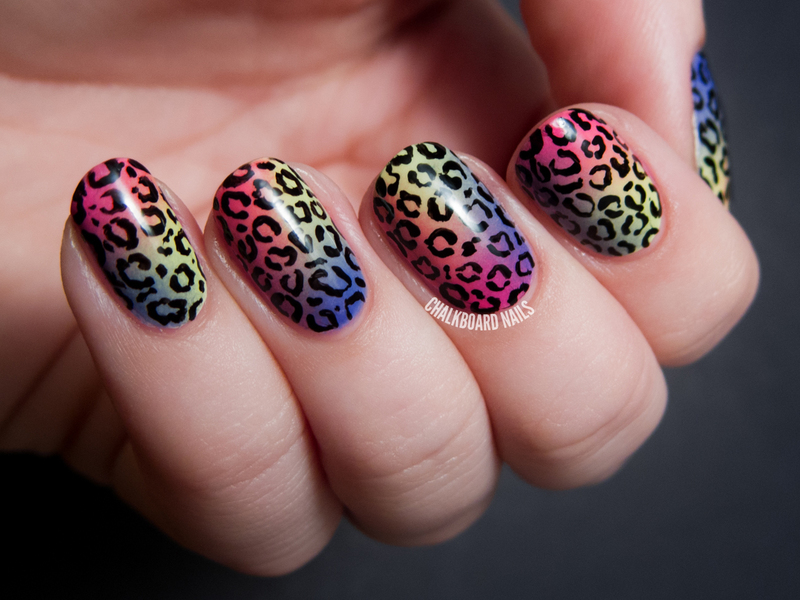 And the leopard pattern on top just makes it look all the more perfect. 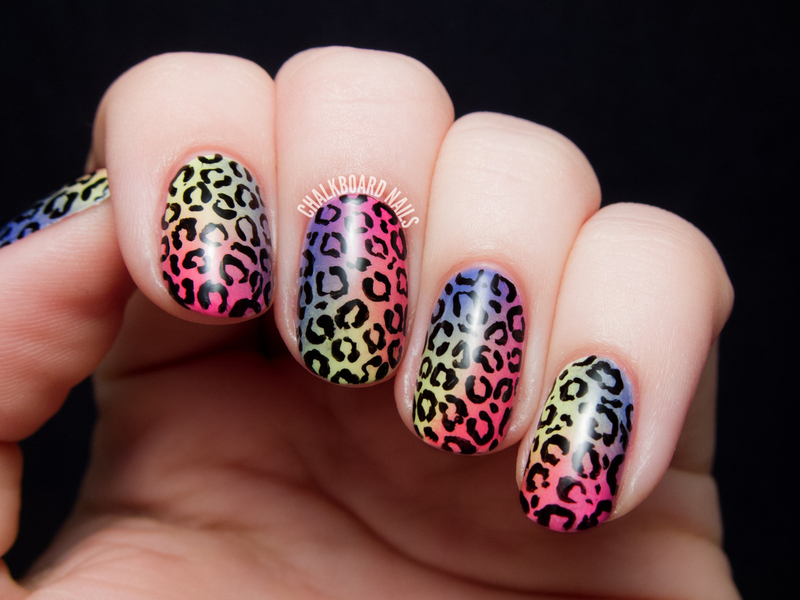 I am so in love with this manicure! Awesome! I hope to hear your thoughts about the city flourish collection soon. Just beautiful. I love designs over multi coloured bases. One of my favourite looks. love how intriguing the print is! Great job. Love the colors...soooo girly and pretty. Wow, I honestly thought it must be a stamp because that print is so clean- great job. I love these!! It all flows together super nicely! so beautiful! it's a perfect mani! Pretty! It's very Lisa Frank, such a great look! Love those colors together, they blend nicely. Yes, unfortunately. 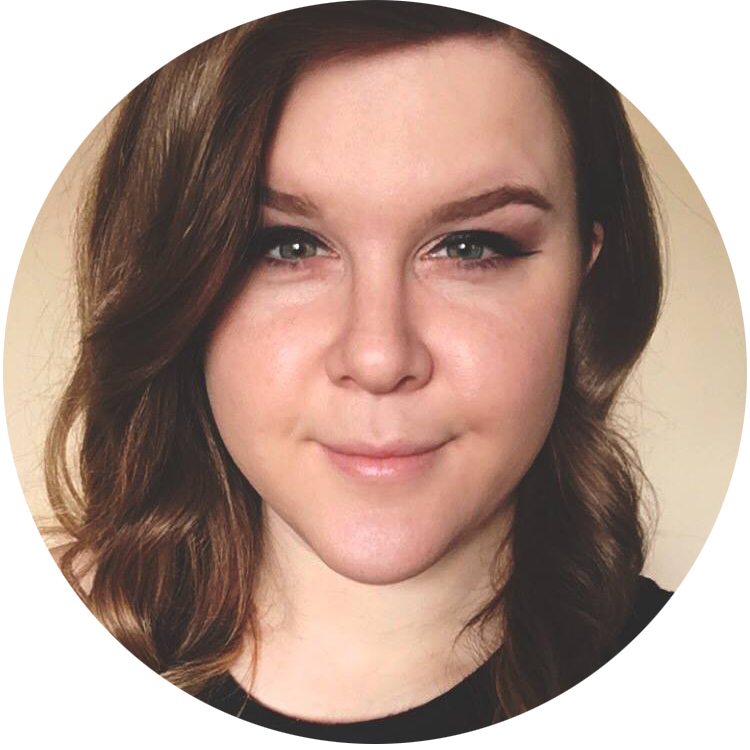 She has taken a few of my designs and created tutorial videos for them without crediting me as the original artist. Thanks for your support! I always come to your site to find inspiration. The techniques you use are always super easy to understand.